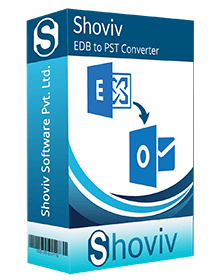 Shoviv EDB to PST converter is an emerged solution which helps to extract inaccessible or corrupt EDB files into PST format by maintaining the data originality without tampering them. Beside this, it also helps to extract EDB files into EML, HTML, MSG etc in case of exchange corruption and other circumstances. The software comes with integrated features which are highly capable of exporting EDB Mailboxes to PST, Live Exchange and Office 365. Maintain data integrity during EDB to PST conversion. 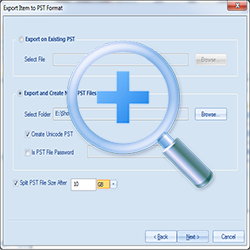 EDB to PST converter tool allows to convert EDB to PST files in hassle-free manner. The software comes with an advanced algorithm which helps to quickly scan the corrupted or inaccessible Exchange mailboxes, recover them and later convert EDB to PST promptly. 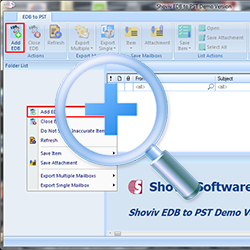 Shoviv EDB to PST converter is the highly recommended software by experts and facilitates to recover corrput/non-corrupt EDB files within an eye-blink. It has fastest recovery process which empowers to quickly recover all kind of EDB files without harming those items properties. It facilitates to migrate EDB mailboxes into Cloud Office 365 by keeping the entire emails and associated attachments preserved & protected without any alteration. User can map EDB & office 365 mailboxes both, manually & automatically. Beside this, one can also migrate EDB to Office 365 archive mailbox proficiently. EDB mailboxes can be mapped both, automatically & manually to the live Exchange mailboxes with proper information. This Migration can be done using required filter options which is already defined in the tool. One can also migrate EDB mailbox to Live Exchange archive mailbox. 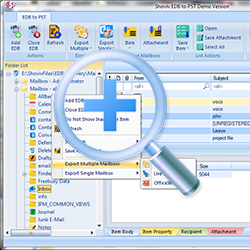 Recovery of EDB files can be estimated accurately with the help of preview option. It shows preview of recovered EDB files Mailboxes, Folders along with Items attributes, such as To, From, Date, Time, Cc, Bcc and Subject. Thus recovered EDB can be seen in preview after the recovery. Scanning feature helps to scan EDB File in very short span of time and allows a short preview of EDB mailboxes in list.when user clicks on mailbox, It start full scanning process of that particular mailbox which make scanning process quicker & faster. It will show complete folder hierarchy. The tool helps users to keep the folder hierarchy properly managed and maintained so that EDB emails folder hierarchy is properly settled without disturbing the order of emails and data within it. 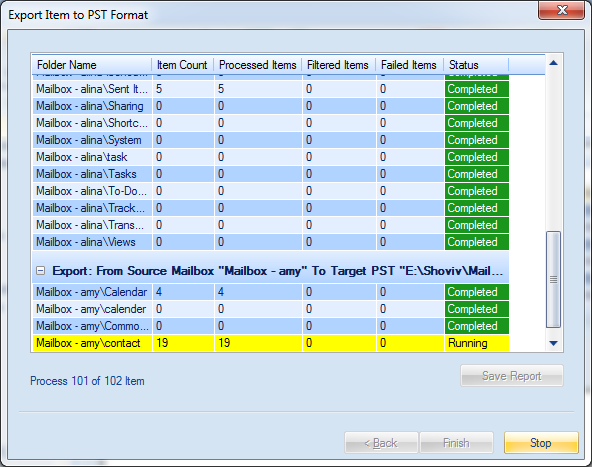 This tool recovers EDB mailboxes proficiently to access and load multiple EDB files in order to frequently recover corrupted EDB Files and then convert EDB to PST. EDB to PST converter tool has no restriction to work with any specific EDB mailboxes. This tool has an advanced technique to work for Pub. and Priv. both EDB mailboxes. Exporting EDB emails from mailboxes to Live Exchange and Office 365 public folders are other crucial feature that make this tool more valuable. 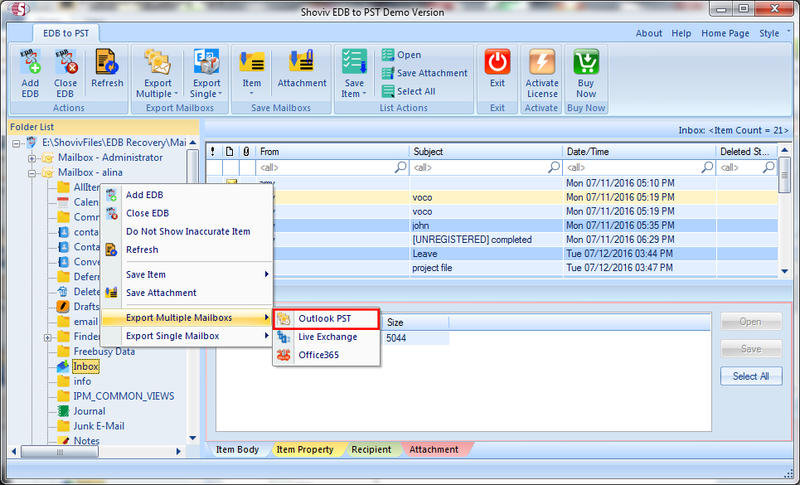 This option allows to split EDB mailbox to multiple PST files while converting from EDB to PST. There are no size restriction and one can select file size limitation of splitted PST file during data conversion process. EDB to PST converter offers with the facility to filter the EDB Items according to the date range and message class (message type), while exporting EDB items to PST, Exchange and Office 365. 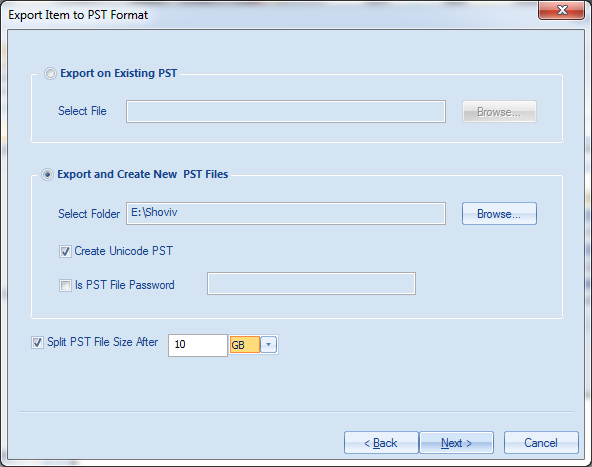 The software not only converts EDB to PST but also offer to work efficiently in both ANSI and Unicode PST files. The software comes with enhanced features which is capable to support entire versions of Windows OS, MS Outlook and MS Exchange with any hurdle. We keep client satisfaction on highest priority. In fact, a quick trial always helps to understand the features & functionalities of our software. Hence, we kept this free of cost. Under the trial version, you are free to convert upto 25 items per folder without having any restriction. How can I buy EDB to PST Converter tool? Naively, you can buy our tools from our official page or the second option to contact a reseller, if you not rely on the online transaction. Is this tool secure in keeping data dignity and integrity? Yeah, it will keep securing your data dignity and integrity due to its excellence integration and algorithm introduction of this tool. It’s an ambidextrous tool which not only executes the repairing of EDB mailboxes, but it also assists the user to save them in a different format as required. While using the product, the process to select email items can be daunting? Never, It will not happen, because our tool has a unique feature and quality such as to make a specific search. You can search by Subject basis or Attachment type or attachment name etc. This tool accomplishes your heavier execution in a little way. What I do, if I have an oversized EDB file for conversion? This is not a typical task as you think, just short out the problem with the option given with the software functionalities. 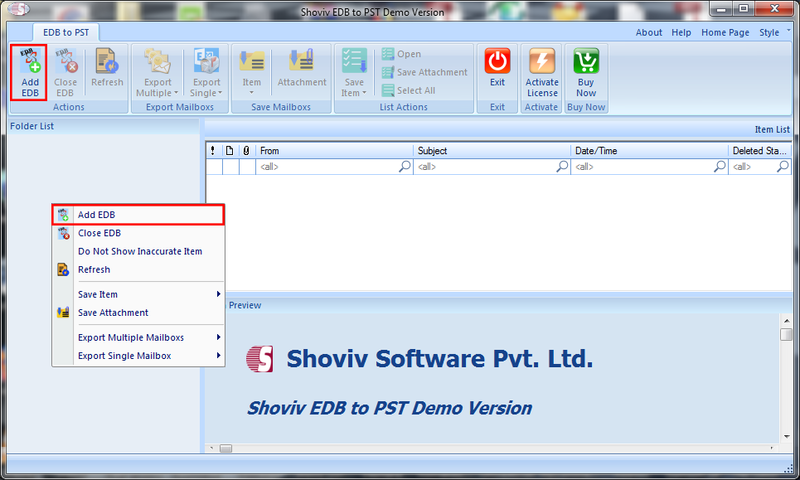 Do split your oversized file afterward the conversion of EDB to PST file from the same software, get it through Shoviv. Can I get the business version of this product? Yeah Sure, Shoviv has adequate of choices for you in this product. So, just make us aware which tool can target your need and accomplish your implementation gorgeously. Make a call or email us to aware of your business demand our support service will help you out in making a decision.